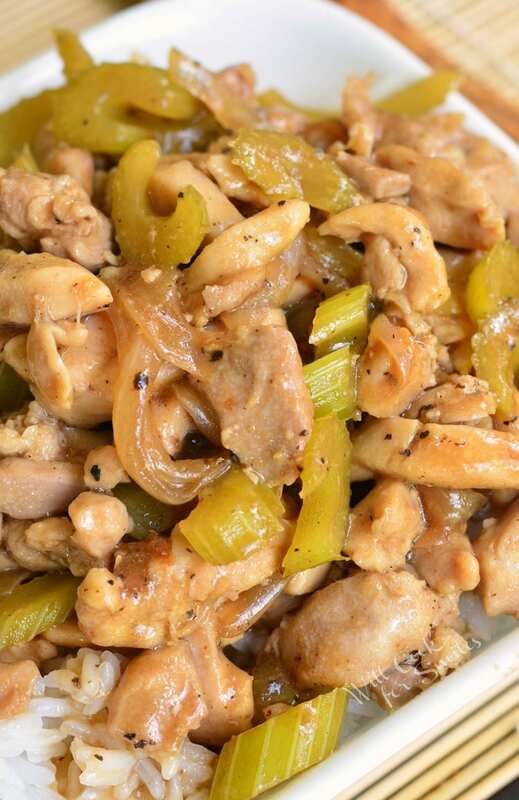 Once you try this homemade version of Panda Express Pepper Chicken, you’ll never go back to take-out. 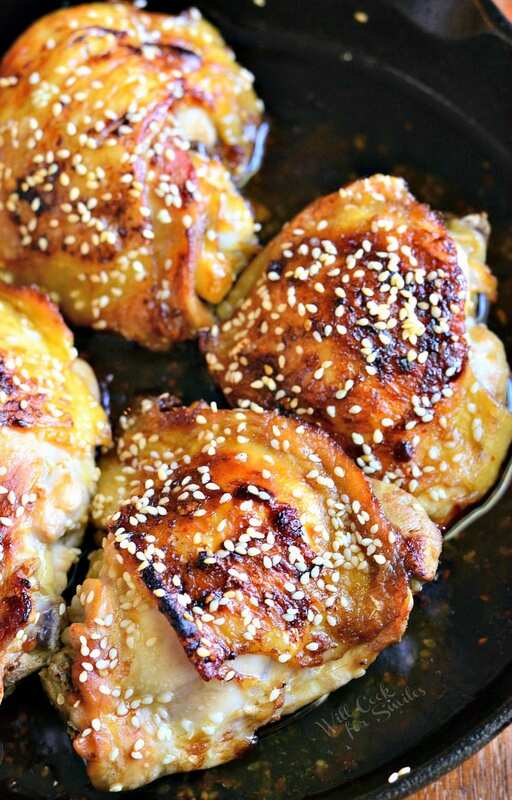 Juicy, tender chicken thigh meat is sauteed with onions and celery and cooked in black pepper soy sauce. This Pepper Chicken is served over rice but you can easily swap out rice for veggies or quinoa. I can’t believe how long I’ve been sitting on this recipe, waiting for the right time to share it. Mostly, I can’t believe that I’ve been able to wait so long to share it. I fell in love with this tasty Pepper Chicken in May, when my little sister and I went to Houston for a college conference. That was the first time she got me to try Panda Express and I’m so glad I did because I learned about this new tasty chicken dish. It was pretty hard for us to find something to eat at the airport restaurants while we were traveling because of my gluten intolerance and her preference to eat healthier. On the way to Houston, we actually walked around the airport food court four time and ended up walking out of two restaurants because we couldn’t find something that sounded good and was gluten free. If I hear another server say “well, you can always have our side salad,” I’m going to cry. I’m not a rabbit, I don’t like to eat a salad all day long. Unfortunately, that ends up being my only option in so many restaurants. Needless to say, after four circles around the food court, we ended up grabbing a couple of plain salads and hopping on the plane. We got to our hotel late at night, starving but too tired to care. I did not have much more luck at the conference the next day because, even though they provided breakfast and lunch, it was all pastries, bagels, and fruit. I enjoyed my breakfast of coffee and fruit but that also turned out to be my lunch. Yet again, they only served sandwiches and fruit for lunch. When the conference was over, I was hyped up on coffee and fruit and felt like a starving lion, desperate for a nice juicy steak. For dinner, we ended up trying an awesome gastro pub inside the iPic Movie Theater called The Tuck Room. It was the perfect dinner for someone starving for two days and they had so many delicious gluten free options. We tried baked avocado appetizer for the first time and enjoyed some crazy-tasty tacos. After our feast, I was sad to think that we’d have to deal with airport food yet again the next day. Of course, when we got to the airport, the options for lunch were scarce. My sister suggested that we try Panda Express since it was the only non-sandwich food option. She likes eating there but I’ve actually never tried it before. My eyes went straight for Teriyaki Chicken because it’s the most familiar option on the menu but apparently, everyone else’s eyes went there too. They ran out of Teriyaki Chicken and not willing to wait 20 minutes for them to cook some more, I saw tasty looking Pepper Chicken and decided to give it a try. After the first bite, I knew that I had to recreate this chicken dish at home. It seemed very easy to make and it was very tasty. A simple combination of onion, celery, chicken thigh meat, and seasoned with lots of black pepper makes a very tasty combination as well. The very next day after we came back home, I made this dish for dinner and it was a huge hit with my husband. 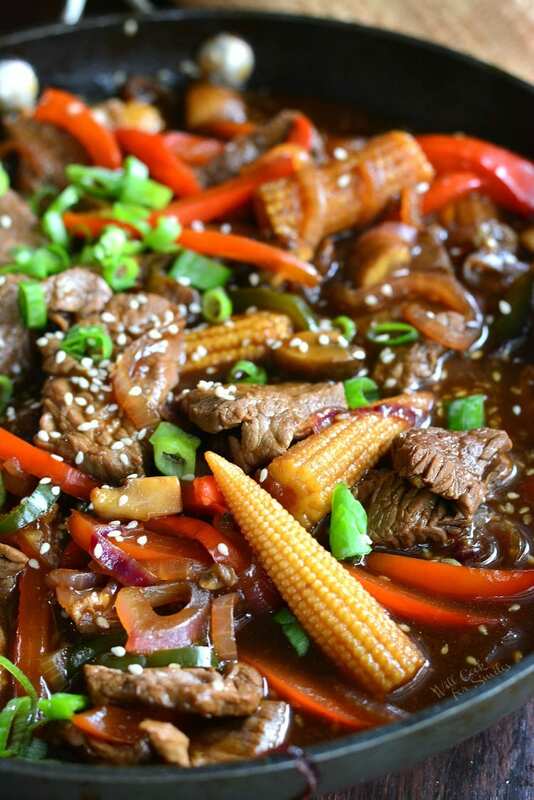 It is now one of my favorite Asian-style dishes to make. 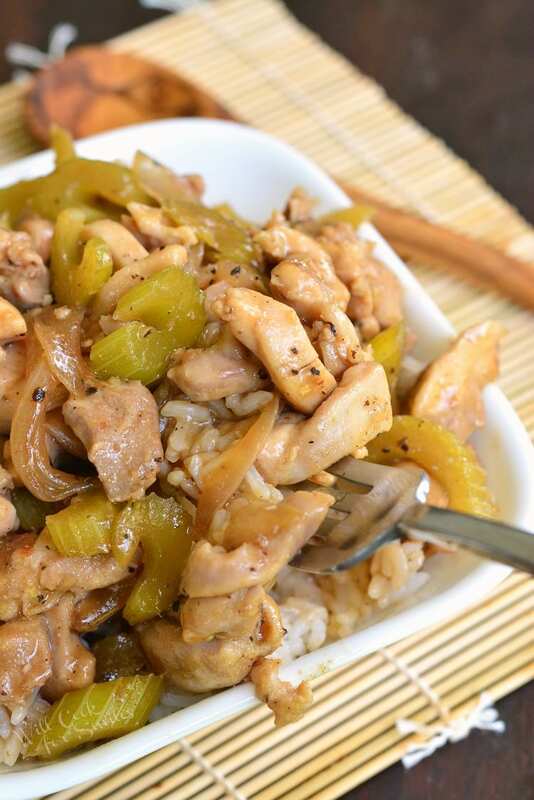 Step aside, Teriyaki Chicken, Pepper chicken is here! 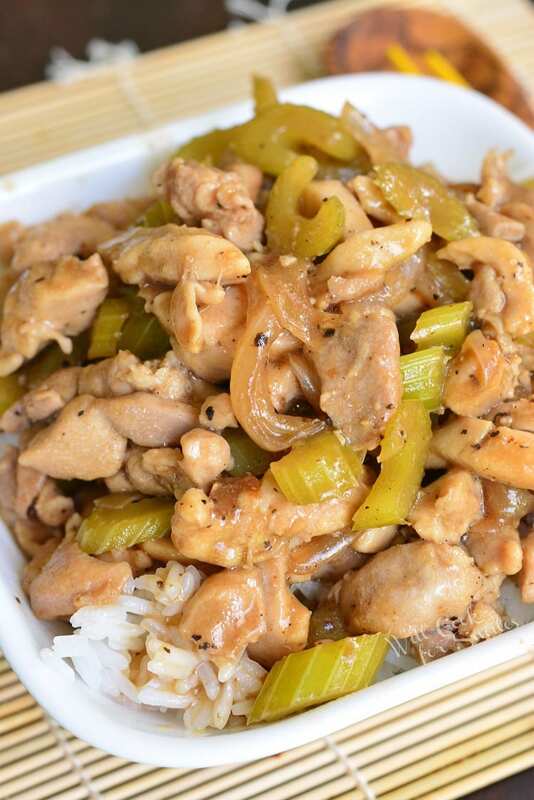 Once you try this homemade version of Panda Express Pepper Chicken, you'll never go back to take-out. 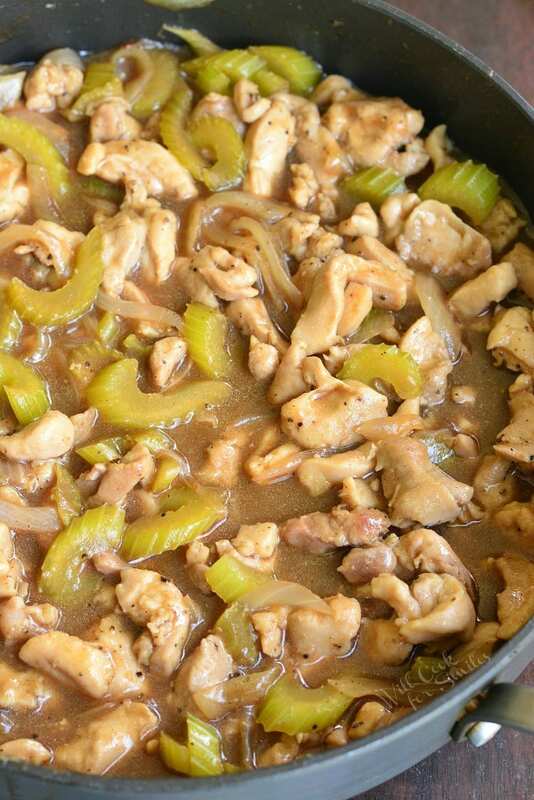 Juicy, tender chicken thigh meat is sauteed with onions and celery and cooked in black pepper soy sauce. Cook rice according to the package instructions and set aside. 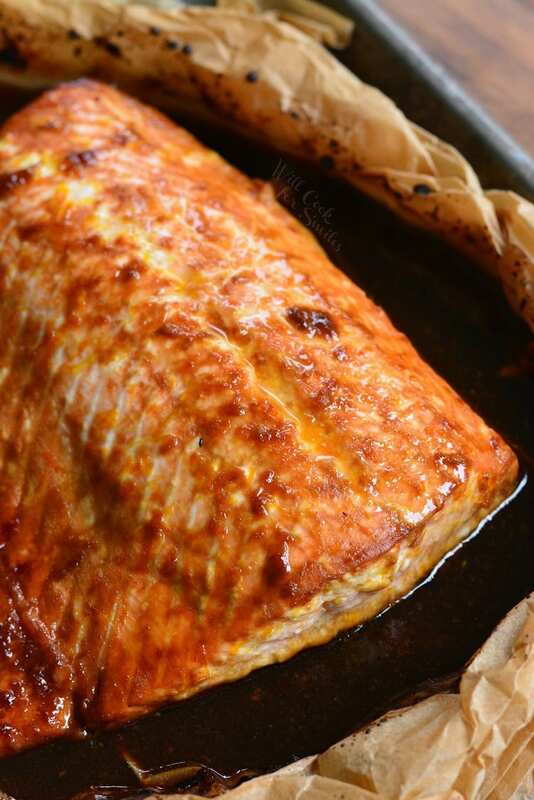 Preheat a cooking pan over medium-high heat and add a couple of tablespoons of oil for cooking. Chop chicken thigh meat into small pieces and place them in a small mixing bowl. Add 1/2 tbsp of corn starch, 1 tsp black pepper, and some salt. Mix very well so that the chicken is coated in corn starch, salt, and pepper evenly. Set aside. Dice onion and celery and saute for a few minutes. Once veggies are softened, add chicken and mix well. Saute chicken until about half way cooked. While chicken is cooking, whisk ingredients for the sauce in a small bowl. Add sauce into the pan with the chicken, stir well. Bring the sauce to simmer and lower the heat to medium-low. Stir and cook chicken and veggies until chicken is completely cooked. Take off heat. 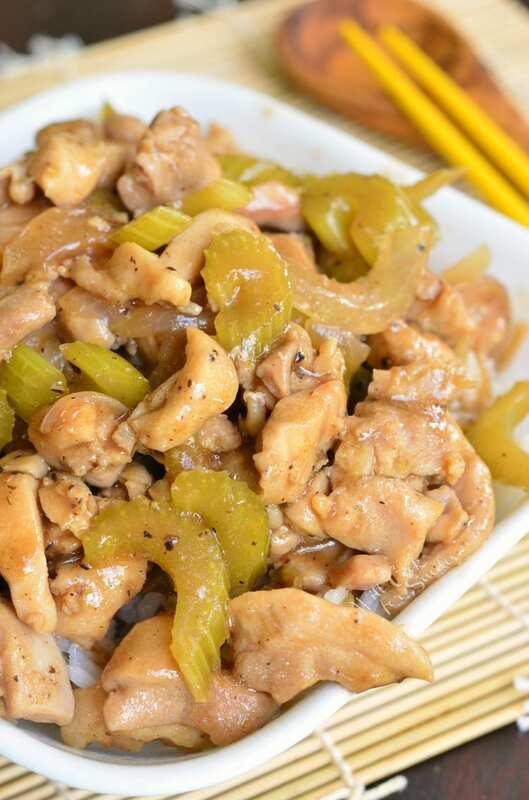 I prefer to serve this Pepper Chicken over Jasmine rice. Jasmine rice can be swapped out for brown rice, quinoa, or steamed veggies. You have a gluten intolerance but you use soy sauce?? Hi Cathy! I always use gluten free soy sauce. It’s available in just about every grocery store if you’re looking for one. The gorgeous picture caught my eye on Pinterest. But the recipe itself sounds delicious. I haven’t seen this before so I can’t wait to try it!!! Thank you so much! I hope you will try it, Stephanie 🙂 It’s really east and tasty. Delicious but next time I would use less chicken broth or more cornstarch for thicker sauce. I”m so glad you liked it, Vickie! You can just add a little more cornstarch without taking away the broth. This looks amazing!!! I was sold until I got to the calorie count. I only have 1400 per day, is there any way we can modify it to reduce the calories? Hi Karen! This is actually calculated for rice as well. You can make it with quinoa or steamed veggies to lower the calorie count. Use low sodium soy sauce and broth as well. I really hope you will give it a try! YUM. I made this tonight; it reminds me of something my mom used to make, but not as heavy. Simple and quick. I added mushrooms and carrots, and will probably add snow peas next time. Delicious! Thank you! Oh wonderful! 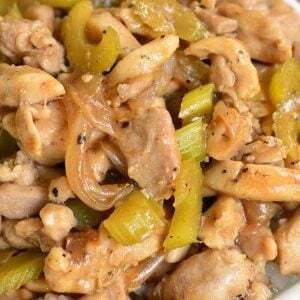 It’s like a pepper chicken stir fry 🙂 Great idea!